In this day and age there's no excuse for not having a Good Hair Day and with the right tools you can have fabulous, styled locks every day. 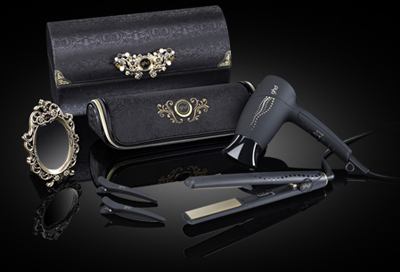 The ghd hair straightener collection now includes three different hair stylers to help tame any type of hair. 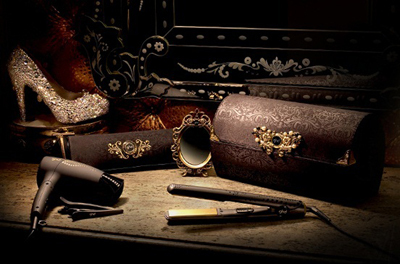 With their unique rounded barrel, ghd stylers not only straighten but can also curl, flick and add volume to your hair. The classic ghd IV styler comes with a rounded barrel for optimum styling, advanced ceramic plates and a handy auto sleep mode which means that the stylers will turn themselves off, even if you forget to switch them off. The ghd IV styler is perfect for all normal hair types and can create anything from soft waves, to giant bouncy curls as well as straight and sleek styles. The mini styler comes with the same rounded barrel design, advanced ceramic plate technology and auto sleep mode of its sister stylers but is especially designed for short hair. The smaller plates are perfect for creating tight curls, flicks and getting rid of kinks as well as styling fringes and men's hair. Is your hair very thick, afro, frizzy, curly or unruly? Then the Salon Styler is the hair straightener for you. Combining the usual ghd technology and features with wider, bigger plates, these stylers are specially designed for wild locks. The broad plates will whip your hair into luscious curls or turn frizz and volume into sleek and straight styles - and all in a reduced amount of time.